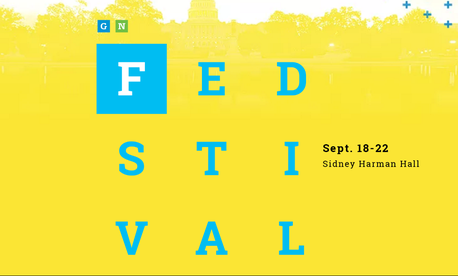 Last year, in the inaugural weeklong Fedstival, Government Executive and Nextgov convened leading federal officials and thinkers to share ideas about tackling government’s biggest challenges. Now we’re deep into planning for Fedstival 2017, which will take place from Sept. 18-22 in Washington. The series of events culminates in Bold Friday, during which federal innovators from all corners of government tell about the important work they’re doing in a series of rapid-fire presentations. At last year’s Bold Friday, experts from the National Defense University, the Office of Management and Budget, the U.S. Agency for International Development, the National Park Service and many other federal organizations shared stories of their cutting-edge work. This year, a new group of federal leaders, selected by a panel of Government Executive and Nextgov editors, will take the stage to tell their peers and colleagues how they’re making a difference in technology, management strategy and workforce development across government agencies. If you or someone you know fits that bill, we want to hear about it. Nominations are now open for this year’s Bold Friday presentations. This is your chance to highlight the important work you’re doing, share your ideas with peers from other agencies and learn from their experiences. Overall, this year’s Fedstival will take an in-depth look at the new administration’s efforts in management, workforce and IT innovation. We’ll convene a wide range of practitioners and observers for conversations, debates, workshops, live events, networking and much more.